Zimbabwean tycoon Mr Shingai Mutasa has shelled out £15,2 million (US$20,5 million) to assume control over a sprawling business empire that has fertiliser manufacture Sable Chemicals and the Cresta Group of Hotels under its portfolio. About £10,2 million will be paid immediately, while the remainder — £5 million — will be paid off within the next 12 months. 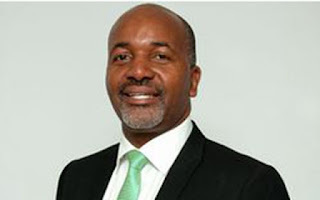 Through an announcement that was made on December 27 last year, Masawara — a Zimbabwe-focused investment firm that is listed on the Alternative Investment Market (AIM) of the London Stock Exchange (LSE) — said Mutasa now controls 90,4 percent of the company. Though Mr Mutasa and his partners already had a significant shareholding in the business through one of his investment vehicles, FMI Holdings Limited, the latest deal was facilitated through another company, Oxford Holdings. Masawara says the businessman has since indicated that he will delist the company from the LSE. He will also address other shareholders about the future plans of the company. “Mr Shingai Mutasa, a non-executive director of the company, has effective control of both OHL (Oxford Holdings Limited) and FMI, and through this common ownership Mr Mutasa and persons closely associated with him now hold a beneficial interest in 111 924 074 ordinary shares, representing 90,4 percent of the company’s issued ordinary share capital,” said Masawara in a statement on December 27. “The company intends to post a circular to all shareholders convening a general meeting of shareholders to vote on the proposed delisting. “The resolution requires the consent of not less than 75 percent of the votes cast by shareholders. Mr Mutasa will procure that FMI and OHL provide an irrevocable undertaking to vote in favour of the resolution. Cancellation of the company from trading on AIM is expected to become effective not less than 20 business days following posting of the circular as required under the AIM Rules for Companies. In Zimbabwe, Masawara has control of companies in the insurance sector such as Zimnat Lion Insurance, Zimnat Life Assurance, Grande Reinsurance and Minerva Risk Advisors. In agro-business, it is the major shareholder in Sable Chemicals and has a significant share (22,5 percent) in Zimbabwe Fertiliser Company (ZFC). It also has investments in the broadband telecommunications business through iWayAfrica and Telerix Communications. Most of the companies are controlled through TA Holdings, which is listed on the Zimbabwe Stock Exchange. Perhaps the most visible of the company’s investments is Joina City, a multi-purpose building that is at the heart of the central business district in Harare.